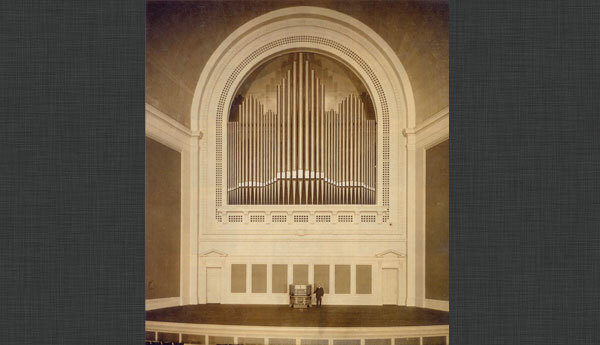 We’ve been given the rare opportunity to see a piece of San Francisco history – buried and forgotten for decades – so why exactly are we hunting down a 40 ton pipe organ? (And how do you bury something that big in a city that’s only 49 sq. miles?) After all, this isn’t “Lost Churches of Northern California,” right? Behind the row of visible facade pipes, lies 39 tons of additional musical instrument! Well, you’ll just have to follow us on social media for live updates throughout the day today and stay tuned for the debut of our second season, with the 1915 Pan Pacific episode debuting around Memorial Day! Huell Howser would be proud – and jealous. This entry was posted on May 16, 2014 by Great American Thrills. It was filed under Lost Parks, Social Media, Television Production and was tagged with Huell Howser, kris rowberry, kristopher rowberry, lost parks, lost parks of northern california, nicholas laschkewitsch, pan pacific exposition, robert ingle, San Francisco, television production, worlds far.